The relationship between Bernie Sanders supporters and the Hillary Clinton camp was famously bitter during the 2016 presidential campaign, a sore point after Democrats’ bruising loss to President Donald Trump. This week, the public airing of a dispute between Sanders and a well-funded liberal think tank with deep ties to the Clintons seemed a sign that the enmity had failed to dissipate. And that was before someone’s mother got dragged into it. On Tuesday, the New York Times published a front-page story that looked at these long-standing beefs through the Center for American Progress – the think tank that Sanders had rebuked over the weekend – and the organization’s head, Neera Tanden, a close Clinton ally who frequently jousts with more left-leaning partisans online. “The bad blood started early,” the story began, recounting an allegation that Tanden had once punched, or pushed as she told the Times, the man who now runs Sanders’ political campaign. The Times’ story focused in on critical details about the Center for American Progress, particularly about the sources from which it draws its $60 million annual budget: financiers, banks, Silicon Valley billionaires like Mark Zuckerberg, corporate titans like the Walton family and foreign governments, including those with challenged human rights records like the United Arab Emirates. But what has rankled many was the statements it included from Tanden’s 78-year-old mother, Maya, who apparently spoke freely with a Times reporter about her daughter. The quotes helped make the story a colorful one to read. But Neera Tanden released a statement from her mother later in the day, in which the woman said she hadn’t understood the nature of the conversation she had with a New York Times reporter. The statement was joined by a chorus of criticism from people who felt like the mother had been dragged improperly into a messy political fight. 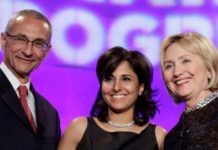 Kelly McBride, a vice president at the Poynter Institute for Media Studies in Florida, said she wondered how the Times had justified calling Neera Tanden’s mother. 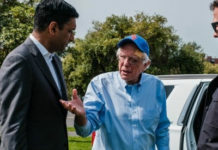 McBride said that regardless of the specifics of the discussion between Maya Tanden and the Times, she was confused why the woman had been quoted as an expert about the simmering feud between the Bernie Sanders world and her daughter. “If somebody were doing a story about the Poynter Institute and they did it and they contacted Kelly McBride’s mother. People would be like, ‘What?’ ” she said. The exact terms of the interview between the Times and Tanden’s mother are of course not clear. 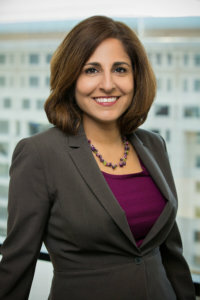 In general, ethical journalism requires that sources be made aware before an interview that their quotes are going to be used in a story, unless they specify their remarks are “off the record.” Some said they thought that Maya Tanden’s age and lack of media experience indicated that she likely should have been briefed with more care. Still, there were others who felt her inclusion was the sign of strong reporting. No matter where people stood on the issue, the piece and the intense reaction it generated, seemed to herald the return of the fraught dynamic that plagued the 2016 election for liberals: references to scandalous statements made in hacked emails, bitter criticism about the Democratic establishment’s alignment with moneyed interests, and questions about the news media’s role as an impartial brokers in a heated debate playing out on social media. Rhoades Ha said that the story broke new ground beyond the interview with Tanden’s mom: in reporting on the amount of money the Center for American Progress had accepted from the UAE, and the discussion it caused at the think tank; on the center’s invite to the Saudi ambassador to the United States, Prince Khalid bin Salman, to appear on a panel after the killing of Jamal Khashoggi, for example. Neera Tanden declined to comment through spokeswoman Daniella Gibbs Léger. Léger said that Tanden’s mother also declined to comment further. The video that initially set Sanders off was made by ThinkProgress, a media arm run by the think tank. The video implied that Sanders was backing off his criticism of millionaires after the disclosure that he had earned more than a million dollars in 2017 from book sales. 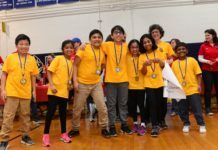 It seemed to mimic a political attack on Sanders; even Tanden rebuked it as “overly harsh,” and an impediment to constructive political debate.